Shalom and hello everyone! I hope you are doing well. Today is rosh chodesh kislev and we wish everyone a chodesh tov! This is the month of chanukah and we are excited to welcome the chodesh of miraculous light and illumination to the world. We may suggest that kislev is a corruption of the words kisa-lev , covered heart. We know from the laws of kriah that one tears garments for a parent “ad sh’migaleh libo,” until the heart is exposed. In this month we do the opposite. 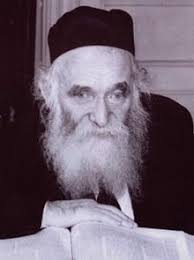 We keep our emotions in check and carefully examine the hand of G-d in the world and bear witness to the impact of siyata dishmaya , heavenly intervention, in our lives and how Hashem fights our battles and performs hidden miracles for our daily benefit. Wow! What a beautiful response! We are sold out for this week’s gala luncheon sponsored by our own Sam Domb with over eighty people in attendance and a growing wait-list. If you aren’t scheduled to attend the luncheon, we will provide a delicious kiddush table on the first floor, complete with cakes and cookies from the incomparable Butterflake bakery of Teaneck, New Jersey. 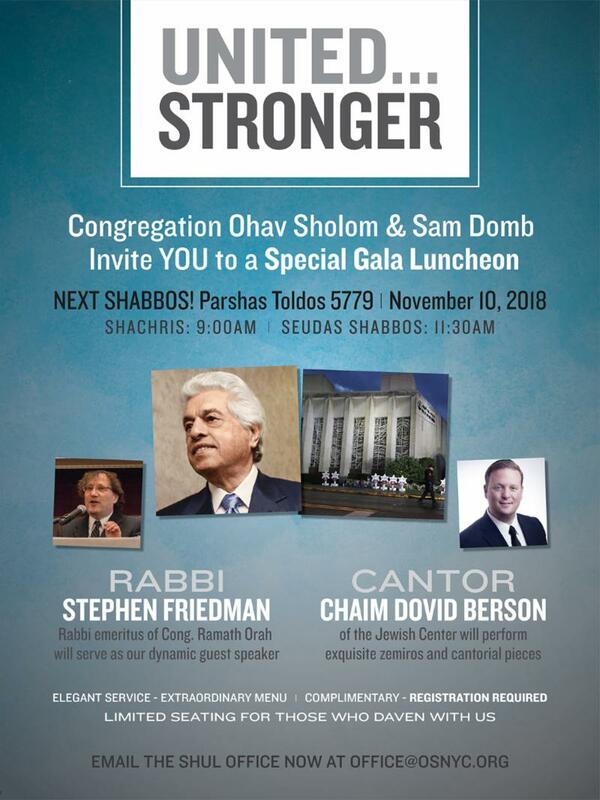 For those fortunate enough to join this exciting event, we will hear from Rabbi Stephen Friedman , Rabbi Emeritus, Ramath Orah Synagogue, and Cantor Chaim David Berson , of the Jewish Center. Can’t wait! 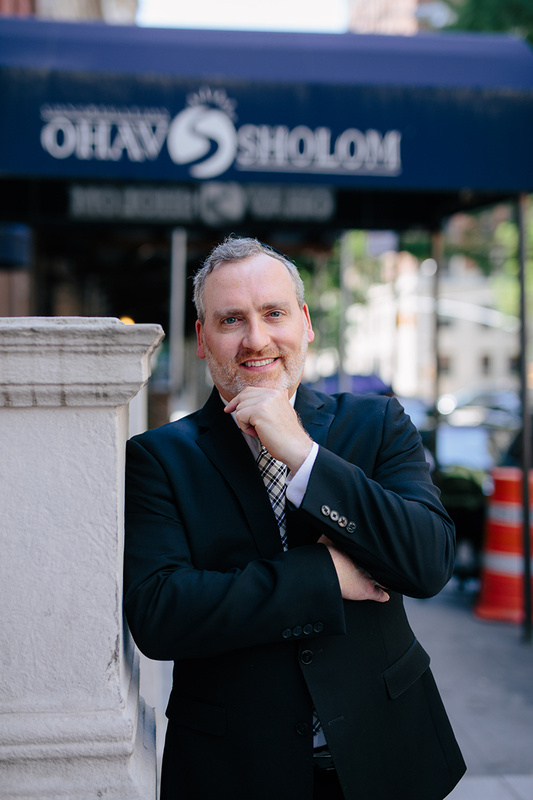 In addition to our amazing pre chanukah communal Friday night seudah on November 30, 2018, Ohav Sholom is proud to welcome the CEO of Beth Medrash Govoha, the famed Lakewood NJ Yeshiva, Aron Kotler , the brother of the rosh yeshiva, Harav Malkiel Kotler , and a grandson of the founder of BMG, Harav Aharon Kotler . 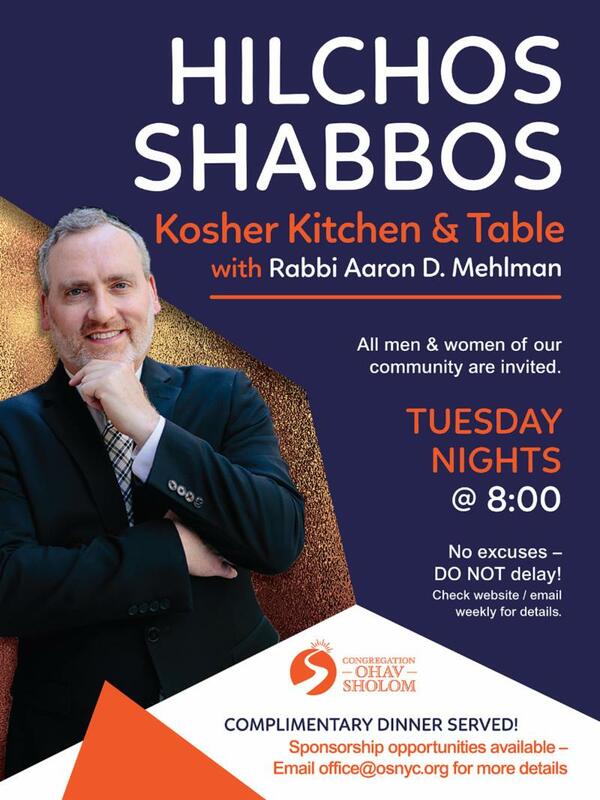 As part of an exciting Shabbos of Chizuk on the Upper West Side that will include the attendance of roshei yeshiva, CEO Aron Kotler will address our kehillah on shabbos morning, December 1, 2018. 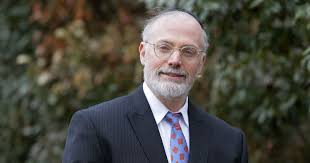 This legendary executive will describe, among other topics, what it’s like to manage close to 10,000 Torah students in the world’s largest yeshiva and share with us the positive impact “Lakewood” has had upon the world of Torah since its inception. Don’t miss this historic address! CHANUKAH DINNER READY TO GO! 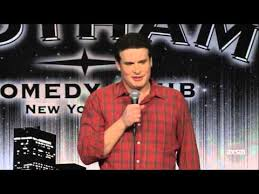 Look to your email for our upcoming pre-chanukah Friday night communal dinner featuring performances from the hilarious comedian Mike Fine and his 90 year old sidekick, legendary Vegas and Borscht Belt comic and entertainer, Bernie Burns ! To top things off, I will be “roasting” both Mike and Bernie. Someone has to put Mike and Bernie in their place and I am the man to do it. With great enthusiasm. If you always wanted to attend a Friars Club event, this is your chance! I’ll see you then. 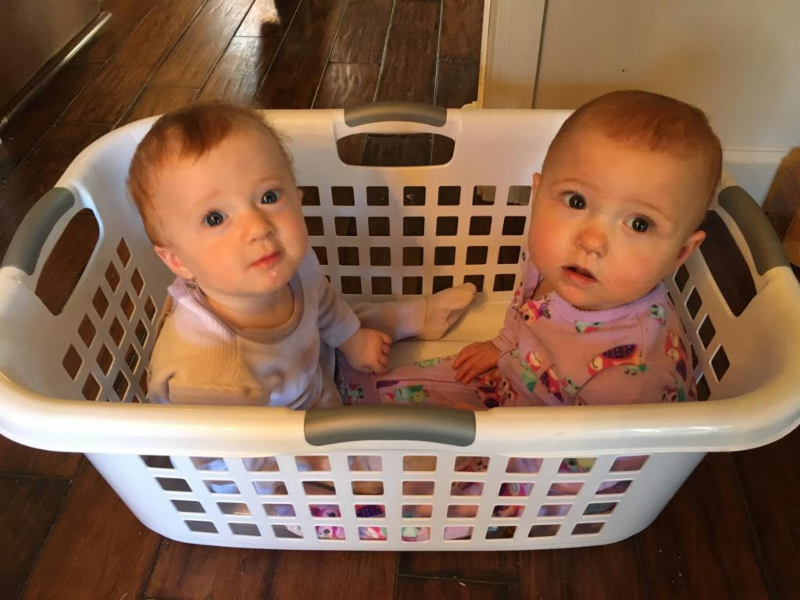 Mazel tov to my daughter and son in law, Tova and Yedid Herskovitz , upon the beautiful kiddush they sponsored last shabbos, in gratitude to Hashem for their adorable twin girls born a few months ago. Tova and Yedid live in Toms River, NJ (located adjacent to Lakewood,) and Ayelet and myself were guests at their home for the festivities. 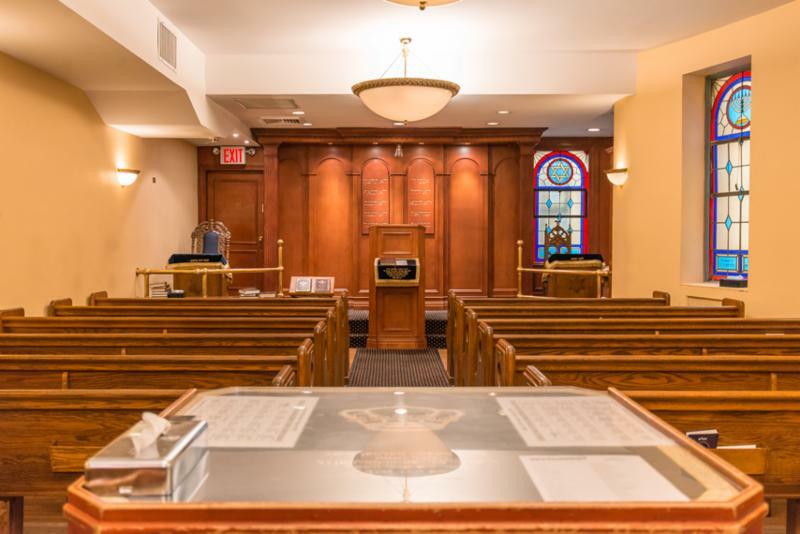 I was additionally honored to serve as guest darshan at the lovely shul where they daven. It was an uplifting and enjoyable experience (for me.). 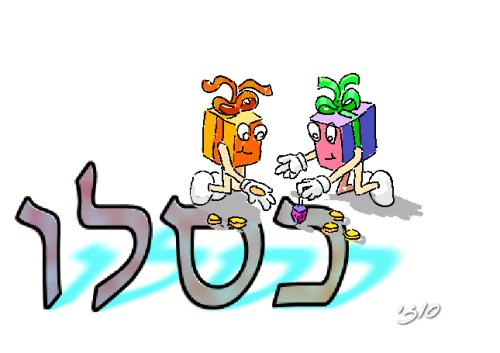 May Tova and Yedid see much nachas from Gila and Mariam , along with their sons, Shlomo and Ephraim , and continue to provide bountiful nachas to us and to all klal yisroel! Amen. Mazel tov! You may have noticed our upgraded security guard this past Shabbos. Please be aware that he is going to be checking all incoming bags. 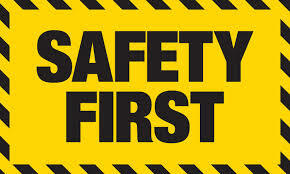 Please give him your full cooperation so that we can successfully enforce new security procedures. 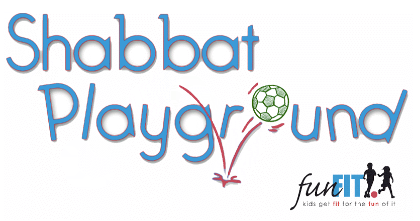 The weather’s getting cold, warm up with our Shabbat Playground. Children can climb, bounce, twirl and socialize in an unstructured environment. Adults can shmooze, mix and mingle. Big gym will be set up for children 3 through maximum age 11. The tots room will be set up for children 3 and younger. *Pass per family (immediate family only) Each membership comes with 2 free guest passes. Additional guest passes can be purchased ahead of time for $22 per child (guest). Pass must be shown for access to the Shabbat Playground. Pre-paid registration is required. All children must be accompanied by an adult. The program is Shabbat observant.